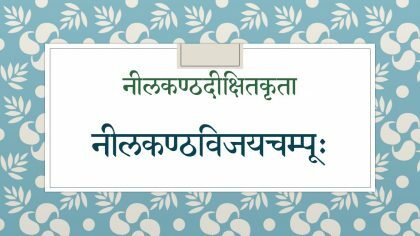 Meghadūta (also known as Meghasandeśa) is one of the most popular kāvyas in Sanskrit Literature, serving as the benchmark for a whole genre of poetry termed Sandeśakāvyas. With an extremely simple storyline – a cursed yakṣa sending a message to his wife in a far-off place through a cloud-messenger, the poem offers full scope to the wondrous descriptive powers of Kālidāsa. The poet paints a panoramic picture of the entire North and North West India with his verses. Each verse of this kāvya is a gem, worth committing to memory. 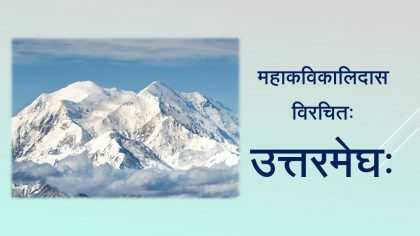 The poem is divided into two halves – Pūrvamegha (The first portion with 66 verses in which the yakṣa describes the path from Rāmagiri to Alakā to the cloud), Uttaramegha (The second portion with 55 verses in which the yakṣa describes the city of Alakā, his wife, and the message to be delivered). 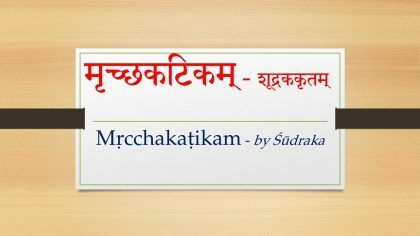 Meghadūta is prescribed for study in the course of several examinations, including the Kovida (5th level of Chittoor Bhasha Pracharini Sabha) and Acharya Setu (Sahitya) of the Mukta Svadhyaya Peetham, New Delhi. 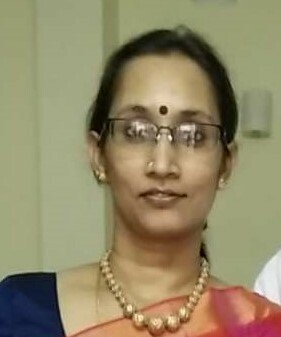 In these audio lectures, Ms. Visalakshi Sankaran has explained the verses of Uttaramegha in simple Tamil. Clarity of her explanations and her infectious enthusiasm make these a very valuable resource for students preparing for any exam prescribing this kāvya.